Avaya works great when used on a strong wifi or mobile connection. I do sometimes have problems with it being quiet with some clients where I tell them ill call them back from my cell phone. It does happen, but rarely, otherwise great software. Some clients seem very quiet not sure why the software does it. I like being able to keep the business phone away from my regular cell (personal). I can keep my actual clients that bought something through me for personal cell then anyone that calls back avatar can pull the info into salesforce and I have their info love it. "Got better over time, now very convienient"
I love that I can use my work number right from my cell and contact my clients. This app was very glitchy for me at first, i had trouble logging in to my voicemail and click to dial never worked. But now, there may have been an update, everything is running perfectly. I have realized that getting back in touch with my clients is a lot easier. I don’t have to wait until the following day to check my messages and get back to everyone, i can do it right from my cell phone. Avaya Aura's best features are providing unified communication, it's flexibility, as well as it's sophistication. The only downfall to Avaya Aura's system is that not many other companies utilize it, since it's relatively new and unknown. Cost is also another key disadvantage to this system. We can use other systems at a lower annual and monthly recurring cost. I recommend others trying Avaya Aura as a supplemental communications optoin, not as a complete replacement. Avaya Aura solves/improves communication within our team. It has a variety of features that are customizable, which help us across teams when communication is not always uniform. We intregrate video conferences and other sophisticated means of communication that we normally wouldn't utilize on a day to day basis, or through other applications and platforms. "Avaya Aura Easy to use!" The ease of use! Most roles that I have had which used this product have been high stress roles. Anything that can help cut down on stress while working is a MUST and this product falls in line with that! Very easy to use with minimal efforts! Love it. Internal call systems. It has cut down on calls to IT for assistance as the employees are able to use with little to no assistance. "Love the Avaya Phone System"
I love how there are so many options available on the phone, most are very easy to use and navigate. The phone is updated with the best software and there are never any problems with disconnections. I wish there was an easier way to conference a call and join the two callers together. Sometimes it hangs up on caller. I feel you would be making the right choice by choosing Avaya Aura because it's a brand that you can count on and know that you're making the right choice for your company or for your self. I feel it works great for a busy call center, the calls are clear and the phone lines are always connecting with ease. "Every day use at its finest"
Avaya makes it easy to connect with people in other offices/states and allows you to add multiple people. I didnt have to be in front of my computer, I was able to use my cell phone or tablet. Sometimes having the video blur a little, could also be bad reception, but that can be a little annoying when you are talking business and you have to keep pausing or waiting for it to come back in the clear. If your working in an industry where you dont really have an office and kind of work on your own accord when and where you want to, its definitely a product to consider for your company. Ability to speak with clients wherever they are and whenever. It makes working much easier and gives you the ability to be mobile. I am a user of their phone product at Midwestern University. I like that the phones are easy to use, it's simple to set up, and cam store my custom directory of numbers often dialed. We've lost power to the phones when our electricity went out briefly since it's an IP connected phone. That was inconvenient, but the pros far outweigh this con. An awesome product to make life in a large infrastructure organization easier to communicate with one another without bogging down E-mail. The phone is more efficient than a regular multiline phone. Transferring calls is much easier than the phones we had prior. Our I.T. Department has access to the whole suite which they use to send us messages rather than an Email if there's a system or portal outage. I only have access to the phone system and use the phone. Avaya's telecomm systems are the best in the market. They've been doing telecomm since the Lucent glory days of the 80's and 90's and continue to offer solid PBX solutions for the enterprise. What I like best about Avaya is their survivability and failover tehcnologies. In my opinion, the Avaya LSP (Local Survivable Processor) and SLS are far superior to the Cisco SRST and CME methodologies. The only thing I can say that I dislike about Avaya is their support model. For the last 10 years or so they've been trying to get out of the sales and support business. They have almost entirely gotten out of the sales business by allowing their business partners such as NACR, SPS, and Carousel to sell their products for them, but support they elected to outsource to India, Argentina, and China. Very hard to get good support from support technicians that speak a different flavor of "English" and work in a different time zone than I do. If you need Mission Critical telecomm equipment, there is only choice in my book and that is the Avaya enterprise solutions. We are currently lowering costs by integrating SIP trunking through the Avaya Session Manager into both the Avaya CM and our Cisco UCM. We also use most of Avaya's other enterprise level products including CMS, IQ, Experience Portal, AES, UCCCM, and they have all solved problems across both our 911 dispatch centers as well as our billing call centers. "Improvements to the bank's phone system." All local numbers - Before implementation we had to dial 8 to get out, then the area code before the number. After, there was no dial-out digit, and it localized all numbers. I loved using the chat and seeing availability of coworkers. It reduced the number of needless calls to my branch when we set our away status, which was a huge stress relief on a busy day. External customer calls would come in, but internal calls would be directed away. We were using an ISP to call, and sometimes that made our call sound really digitized, like pixelated in images but for sound. Sometimes the whole system would go down since it was a master system instead of local phone numbers, so when it was bad it was bad across the board and we'd lose all functionality. The tech support was less than ideal but it was probably our company's fault. They had worked out that our tech support team would field all questions, but that wasn't communicated to the company at large, so when I called their team to troubleshoot, the rep was quite rude. Unfortunately, our IT team was way too small to support our infrastructure, so I would have defaulted to calling their team again. We saw greater connectivity, better awareness of availability, more respect of each other's status & quicker answers using the chat feature. "Avaya CMS - A great program!" Avaya CMS allows you to do just about anything. You can customize and alter pretty much every detail in the program, which is probably it's best feature. There is a ton of advanced functionalities behind the application I haven't even began to play with but I do look forward to it. There are a ton of reporting options in Avaya CMS, which isn't bad by any means but they are hard to understand what they do. For example, I was looking to run a report earlier today to see who changed was skillsets in CMS but I could not find the option easily. After Googling around for 20 minutes I finally found the option and ran the report. Be prepared for a ton of features and functionality, it can be overwhelming at first but worth learning the ins and outs as it is a great tool. We have resolved many internal phone queue problems using Avaya CMS - We have been able to prioritize team members in our phone queue and customize the skill sets to an extreme detail. "Works for a small business"
Our company loves all the options available. Love the ability to transfer extensions to cell phones and be able to receive calls when I am not at my desk. It is great for conferencing between all of our different office. Occasionally we have issues with calls not coming through. This happens a lot when the office is closed and calls comes through on our after hours line. The calls don't always show up in the voicemail's. This is a great product. 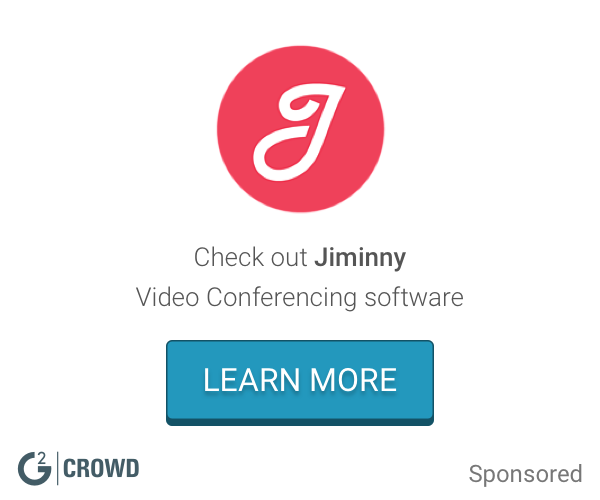 Would recommend for companies that rely on conferencing and alternative ways to connect with customers and other offices that are part of the company. It is great for a growing company. Allows ease with adding new lines and moving numbers and people. Our company is growing and our employees are constantly moving locations. "Great system for multi-phone calls"
Sometimes calls get dropped accidentally and transferring lines do not go through but it's rare. Logging in can be tricky as well the first time setting-up the program. Have time set aside before going live in using the system to work out any kinks and problems. This way, the company can anticipate problems and fix them before going live. In an office environment where several thousand phone calls are taken daily, this system can delegate phone calls and estimate wait times very well for callers on-hold. Sometimes there's an echo and a delay in the conversations which causes an overlap in the conversation or a delay in an answer. The simplicity of it is amazing. I love how all options are easy to find. There are no confusing buttons or sequences you need to remember. It makes communication within a group amazing and I love how easy it is to transfer calls. We can get locked out a lot and if the system is turned off, it takes a while to come back up. It is a fantastic tool to use when trying to step up the phone and video communication in the office. The communication in our office has improved 100 times. We can easily get in touch and see each other at any time. I really enjoy Avaya Aura's unified communications and contact center capabilities which can be accessed by third party solutions through a rich set of standards-based APIs and Web services provided by Avaya Breeze. I have no complaints, it does everything it needs to do. I need a powerful and reliable contact solution that can handle all types of customer communications and deliver a very personalized and positive experience. Once you know what you are doing it is pretty simple but figuring out things on your own is quite difficult. Being able to move my extension to what ever phone I am at is easy. Transferring all calls to your cell if you are to be out of the office is a nice feature. not being able to download the soft console on everyone's computer is a little annoying and being told that we have to purchase more things to be able to have that function is crazy. Having less screens to have to go through to make things live. its been a benefit being able to see where the calls were coming from and helps better direct people. its a pretty basic Tools but very reliable, if it is what you are looking for. Work with your desktop and actual phone altogether. "It's a great phone tool"
I recommend having a good headset when using avaya and a good internet connection for the best quality phone calls. Being able to use a VoIP phone from my work computer and not needing to have a bunch of phones and cord hanging around the desk that people could trip on. "Program is inconsistent and platform crashes a lot"
The inconsistency of the program and the fact that it crashes a lot and requires that I log out and restart. I think it has the capabilities that we were seeking, but it is difficult with the amount of users we have and the lack of training that we had. We are able to do internal and external transfers. We now have the ability to have most of our resources at our fingertips instead of using multiple interfaces. The system is pretty easy to use which is nice for those that are less tech savvy. Avaya will sell this as parts and pieces so you can get what you need and build as you go. Cisco has a very good product too and is winning over long time Avaya systems. This should continue to push both solutions to be better and create exceptional Contact centers in the future. Scalable contact center software to allow call center agents to interact with clients on a daily basis. I love how simple it is to use, and how it can be adapted to different phone systems. It's incredibly user friendly. I honestly have no complaints. The user interface is so simple and I've never really had an issue with functionality. It integrates with our software and phone lines. Allowing us to keep simple records for each call and have everything linked. "Works good but has it's issues"
It's great for call centers I would recommend you have a good internet service to use it and a good head set to get the best quality calls. Not having to work in a actual call center and being able to work remotely and solve customers issues over the VoIP phone. This allows remote customer service agents like myself to make calls without having to pay for our own phone service. "Avaya connecting home based representatives"
I enjoy the clarity and ease of use from my home. 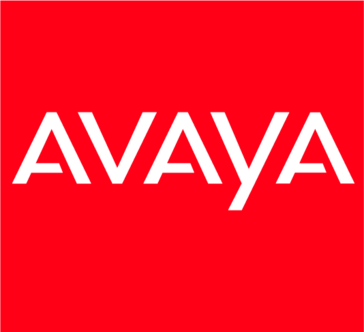 I've used other software based phone systems and Avaya is by far the best product that I've used over the last decade. Logging of past incoming phone calls, in the case of a disconnect can be cumbersome to recover. Generally I'm using the product to connect customers with needed services. A benefit would be clarity and ease of use, but also quick transfers to other colleagues . Moving to newer version is quite expensive in terms of professional services. "Used for our contact center to route calls"
The quality of the system is good and there are little complaints about it. I find the reporting and monitoring available through the web console limited. The implementation on site does not provide agents with a monitor to see the queues and what volume looks beyond the call they are on. Look for cloud options. If you are running a contact center and want to empower your agents then make sure they can see queues and what is going on around them. Call routing is the primary use. Recording and monitoring are secondary uses. "Using experience with Avaya Aura"
Support documents are note very well organized on Avaya website. Total solution for enterprise user's voice/unified message demand. Reduced the cost of ownership. Sometimes when you log in it acts like you are already on a call and you need to hang up. Working from home is extremely easy to connect and handle calls through the computer. "The long and winding road." It's simplicity. Straight forward easy set up. I cant copy paste data from excel to any of the table inputs like scale forecast. The calendar or scheduling module is very clunky. Be very patient when using it. Getting the right number of FTE required. "Aura serves our comapny and our customers well"
Aura is quite reliable and highly flexible. This platform was built in order to serve a larger market than previous platforms and has accomplished just that. The number of features available is substancial and ever growing, The mobility aspect and keeping our customers communicating and present at all times, regardless of location. Can be a bit pricey depending on the numbers of seats. At times support has been difficult, unless users go through a reliable business partner and then everything is great. "Avaya in the Higher Education Workplace"
I like the accessibility that Avaya products grants to my organization. We are also able to customize our dialing experience with Avaya, making our user experience more personal. Sometimes Avaya works at a slower, glitchy rate. This system allows us to reach our customers in a faster, more effective way. It allows us to circulate customers through a dialer system to ensure we have the opportunity to connect with each of them. "Industry leader in voice communication"
Avaya Aura platform is the most stable and feature rich communications platform out there. Administering can be a challenge for newcomers, but once you master it you will love it. Communications and collaboration and costumer service. "I have never presented using Avaya, but I have been a part of Avaya meetings." It is easy to use, easy to conduct meetings when you need to demonstrate something. "End user. Avaya Aura CM powers our company phone system." Phone always works, rings my cell phone if I'm not at my desk, and allows me to extend to my cell if I need to leave but stay on the call. User interface on the phone is a bit clunky, but that's not really an Aura issue. Give it a fair evaluation. Strong voice/telecom and contact center heritage. The calls don't always show up in the voicemail's. It is great for a growing company.Our company is growing and our employees are constantly moving locations. "Great data tool but easy to trick the system." I like how I can see how long calls have been on the line and I can see a history of phone calls made or received. It’s easy to it use the system to log out and improve answer rates by making sure to log in and log out quickly. Being able to reference back to what phone numbers dialed is great for recording data. "Perfect for my telecommuting position"
Even when we lose server connection to other applications, Avaya seems to stay connected more reliably. Settings can be complicated and unclear, often requiring help from PC support if you need to change something. Telecommuting in a call center job. Easy to switch between phone lines if working in a different place. "Avaya connects various communication models"
With all the various methods of communication, it can be tricky to connect if you forgot 1 login/connection credential. As an outbound dialing team (cols-calls), we're able to contact members proactively via Avaya Proactive Contact Agent, while still being able to receive inbound calls and munually dial outbound. "Review for Aura communication manager"
I have worked on Aura communication manager for a bit in the past. Basically, the main products I have worked on(Genesys) has interface with CM through CTI link. So we sometimes needed to take a look at CM to check DN status etc. I found it is pretty straightforward to manipulate. And I heard that they can design complicated routing algorithms as well. I am not sure if there is GUI admin portal as I was just using ASA. If there is GUI, that would be great. We were using Avaya CM as enterprise contact centre PBX. Easy dial out system. Nice features and not complicated to use. It takes a while for the system to load if it needs to be rebooted and I do not like the voicemail system. There are too many steps to take before listening to voice mails even when you are already logged into the system. The office is more easily connected. I can easily see a history of who I called with the system. Our new phone system is better than the old one. I also like the call functions for the phone. Wifi goes out intermittently. I also don't like when signing on the phone to check you voicemail you have to do A, B, C, and D before you can get you messages. I press the voicemail to get my messages. Why is receiving my messages the second option? Like I said the phones work a bit better. "Telecommunications infra with Avaya Aura"
The set of call features provided with Avaya Aura are really good and user friendly. Setting up the infra is a bit complex and one should carefully do it. Provides good set of call features. Establishing a good channel for the users to meet and communicate. Effective communication. The product is well known in call center environments. Little tech support needed when used on the floor. Adaptable to company needs. When partnered with internet connections, switching over to a hard phone system can cause some uncertainty. No known major complications but the system itself is easy to train new employees on. Being able to see the status of a wide range of staff that were on or off a call. The search by name tool was not always as effective as it should have been. "It's real easy to use"
I like that it is easy to learn and easy to use. The benefits of using avaya aura is agents can work from home or remote locations. Decent product for telephony needs within a company. VOIP works well, and the hardware is decent. Not the top of the line, but it gets the job done. Always a challenge to navigate how to change the user assigned to a phone, especially in conference rooms. It is never as simple as it appears. Avaya is a good product for call center or corporate needs. * We monitor all Avaya Aura reviews to prevent fraudulent reviews and keep review quality high. We do not post reviews by company employees or direct competitors. Validated reviews require the user to submit a screenshot of the product containing their user ID, in order to verify a user is an actual user of the product. Hi there! Are you looking to implement a solution like Avaya Aura?